It's always a good practice to keep regular backup copies of your database. You may want to review an older version of your database or, in the case of a system failure, you may need to restore your work. Note: If you and your teammates share a database, before you begin the backup process, be sure that all other users close their instance of the database. Open the database you want to back up. Under File Types, select Save Database As. Under Advanced, select Back Up Database and then select Save As. If you like, change the backup file name. Tip: When you restore data or objects from a backup, you usually want to know which database the backup came from and when the backup was created, so it’s good practice to use the default file name, which captures both. Select the file type for the backup database, and then select Save. To restore a database is to use a backup copy of that database to replace a database file that is damaged, has data problems, or is missing completely. In File Explorer, go to the folder containing the damaged database and rename that database. Tip: In the new name, include the original database name and its obsolete status. Go to the folder containing the backup file and copy that file. Paste the backup file into the folder containing the damaged database. Rename the backup file copy to match the name of the original database. If you’re prompted to replace the existing file, do so. Creating backup copies of your desktop database helps recover your vital data when the Undo command isn’t enough to fix a mistake, restore a missing object, or untangle corrupted data. 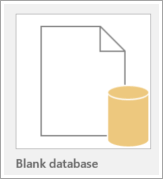 When you back up a database, Access saves and closes any objects open in Design view and saves a copy of the database file with the name and at the location you choose. Before you back it up, be sure that all other users close their instance of the database. Select File, and then select Save As. Under Advanced, select Back Up Database, and then select Save As. In the Save As dialog box, take a look at the backup name. The default backup file name is today’s date added to the original database name. This is a good practice, and can be especially helpful if you ever need to restore a backup. With each backup being a new file, you have different versions of your database—kind of like snapshots. Multiple versions can be essential if you find your most recent backup shows corrupted data and you need to revert to an even earlier backup. But of course, name the backup whatever you want. You might prefer to overwrite your previous backup so you always have a single backup of the most recent version. Whichever method you choose, the important thing is that you’re creating a backup. All the better if you’re doing it on a regular basis. Still in the Save As dialog box, look at the location where the backup is being saved. The default backup location is the same as the original database. For greater protection and safekeeping, consider storing your backup files in a different folder, a different network drive—preferably one in a different building—an external storage device, or on a cloud drive just in case. Select Save. Your backup database file is saved under the name and location you specified. Now that you have a backup, or a series of backups, you can restore an entire database if the original has been lost or damaged beyond repair. First, close your damaged working database. Open File Explorer and go to the folder containing the working database. Rename the damaged database in a way that shows its original name but adds something that indicates it’s an obsolete version. If you had stored your backup file in a place separate from your working database, use File Explorer to browse to the file, the backup file. Browse to the storage location where the damaged or missing database should be, and paste the backup file there. Whether you need to bring the backup from another location or use a backup that’s in the same place as the working database, you need to rename the file to be the same as the original. Your backup is now restored to be the new working database. Sometimes you don’t need to restore an entire database. Sometimes you just need to restore a single object, like a query or a report. To do this, import the object from the backup database into your working database. To start, if other databases or programs have links to objects in the database that needs the object restored, keep the database in its original location. Otherwise, links to the database objects won’t work anymore and will need to be updated. In other words, move the backup database to the location of the working database; not the other way around. Now open the database that needs the object restored from the backup. If you’re replacing an object that contains bad or missing data, or if the object has stopped working correctly, it’s a good idea to rename the malfunctioning object rather than deleting it completely. For example, if you want to restore a damaged form named Employee Details, rename the damaged form something like Employee Details_corrupted. Select External Data, and then select Access. In this dialog box, select Browse. Find your backup database, and then select Open. If necessary, select the option labeled Import tables, queries, forms, reports, macros, and modules into the current database. Click OK.
Now select the tab for the type of object you’re restoring. This list shows all the forms in your backup database. Select the object you want to import into your working database. If you need to import additional objects on this tab, just select them. To import other types of objects, select a different tab and select objects there as well. All your selections on other tabs remain intact. To see more choices before importing the objects, select Options. Select OK. Then select Close in the dialog box. Your selected backup objects are imported to the database as you’ve specified. You’ve now restored your database with the objects you need, and you can return to business as usual.